Home » Featured » RecycleMania 2017- Here we go!!! RecycleMania 2017- Here we go!!! 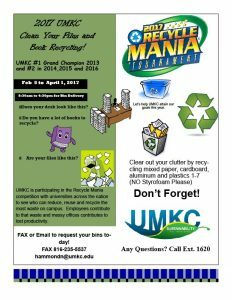 UMKC is participating in its 9th RecycleMania competition in 2017. 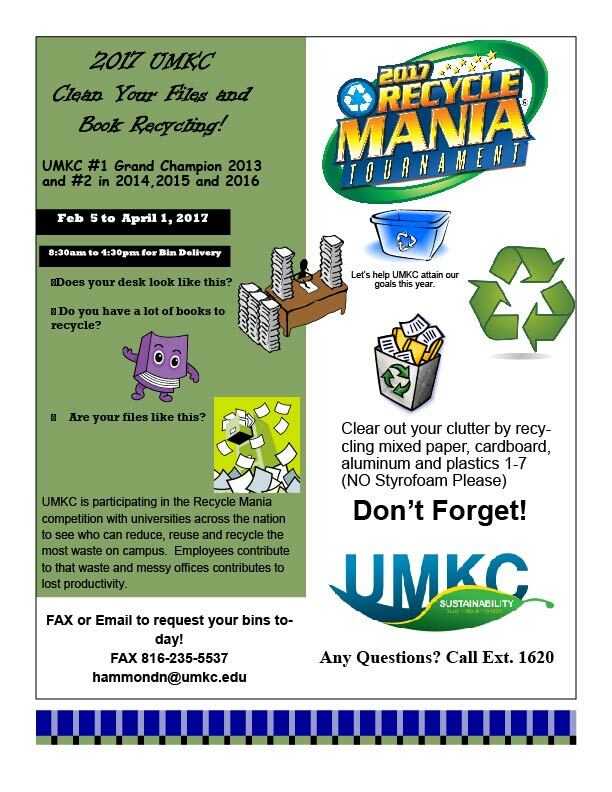 We have a lot of recycling opportunities going on this month and next for our RecycleMania national competition. 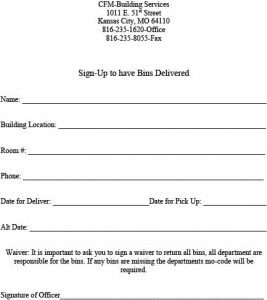 • Clean Your Files, Books and More 2016 (Feb 5 through April 1, 2017) See attached flyer, sign-up form. • E-Waste Recycling Community Event TBD. Thank you, and as always: HAPPY RECYCLING!!!! ← UMKC is Bicycle Friendly University Bronze Level for 2014-2018!